You need to be using manual autofocus point selection. (Don't panic, this is not the same as manual focus.) Most camera's default will be automatic autofocus point selection. In automatic mode, your camera analyzes the scene before it and it selects which autofocus point to use for setting the focus for your photograph. The problem is that in automatic mode, you are trusting your camera to know what your subject is and what you want in focus. Taking a picture of a group of people in front of a tree? Your camera may decide that the tree is more interesting and capture the tree in focus and the people blurry. Taking a portrait of a friend? Your camera may decide that their ear or nose needs to be in focus and that the eye and smile should be out of focus. Take charge. 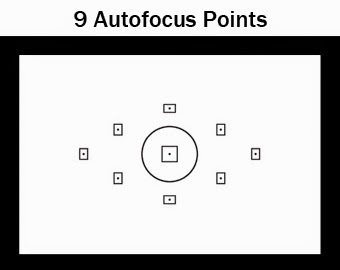 Switch your focusing mode to manual autofocus point selection and choose the middle autofocus point. Now, you know exactly where your camera will be using its autofocus and setting focus for the entire picture. This gives you technical and creative control over the focus. Shooting with a point-and-shoot camera? If you press the shutter down halfway, you will see a box (usually) that indicates where your camera has chosen to focus. If you do not agree with the choice, let up on the shutter and try again. You can also use the "focus and recompose method" below. Now you have set only the center autofocus point for your camera to use, and you may be asking "But what if what I want in focus is not in the exact center of my picture?" An excellent question. Then you can use the "focus and recompose" method or choose a different autofocus point. First, determine your composition. I liked the off-center placement of the Canadian goose in this photograph, giving him/her space to look off into, but my autofocus point is only on the grass. Then, move your camera slightly until the part of your subject you want in focus is in the exact center (I used the goose's eye). Press the shutter down halfway; this will lock the focus. Then you can move the camera back to the original composition, push the shutter the rest of the way down and take the picture. 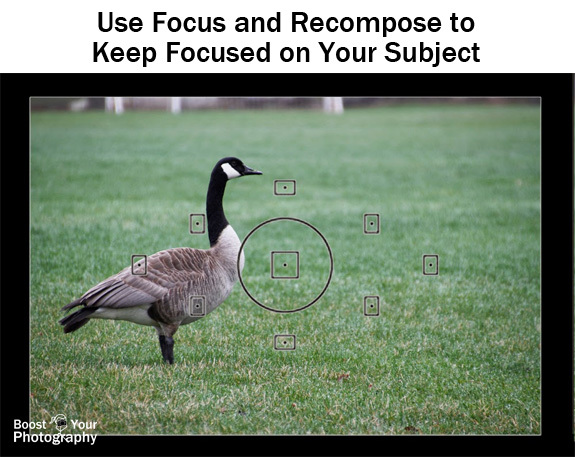 That's all there is to "focus and recompose!" With a point-and-shoot, the process is the same. Determine the composition, and then move your subject into the exact center. Press the shutter halfway, and the focus box should match your subject. Then recompose and press the shutter the rest of the way to take the photograph. 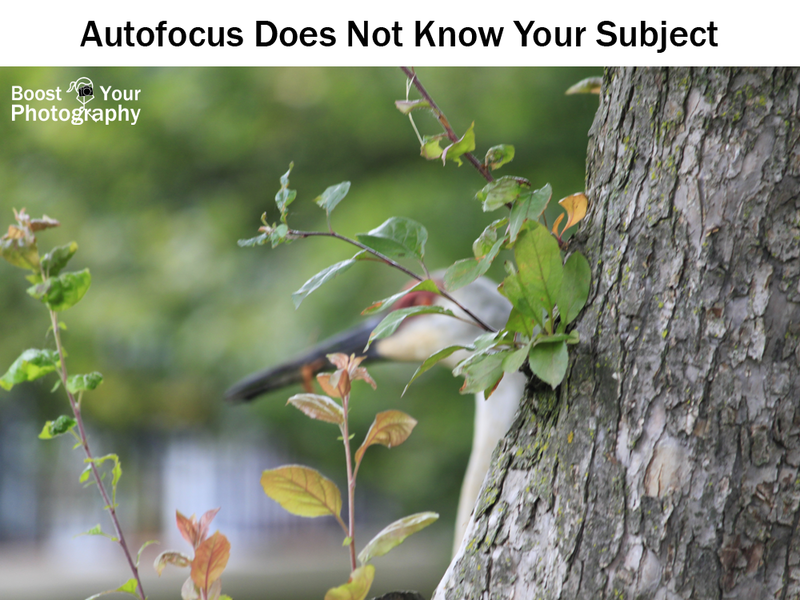 Another consideration with focus is knowing which autofocus mode your camera is using. 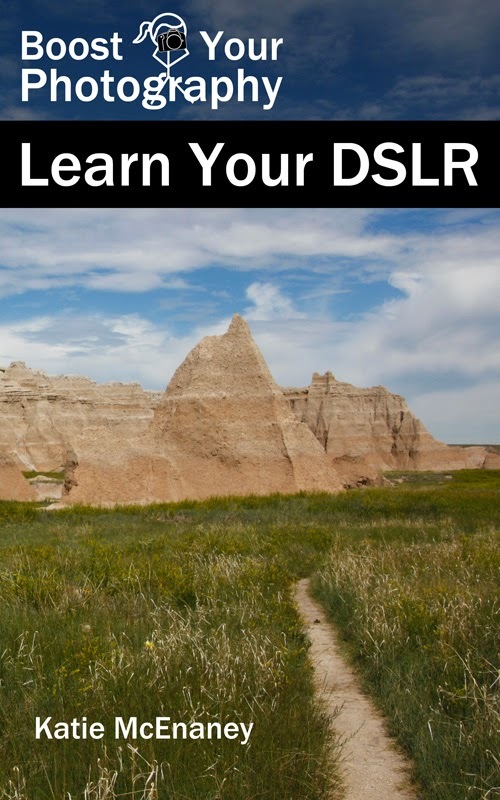 DSLR cameras have several options for autofocus modes. My default is 'One Shot' (Canon) or AF-S (autofocus single for Nikon). In this mode, the camera will find and set focus individually for each shot. Another autofocus mode is AI Servo (Canon) or AF-C (continuous-servo AF; Nikon). In this mode, the camera will attempt to track your moving subject and adjust the autofocus accordingly. 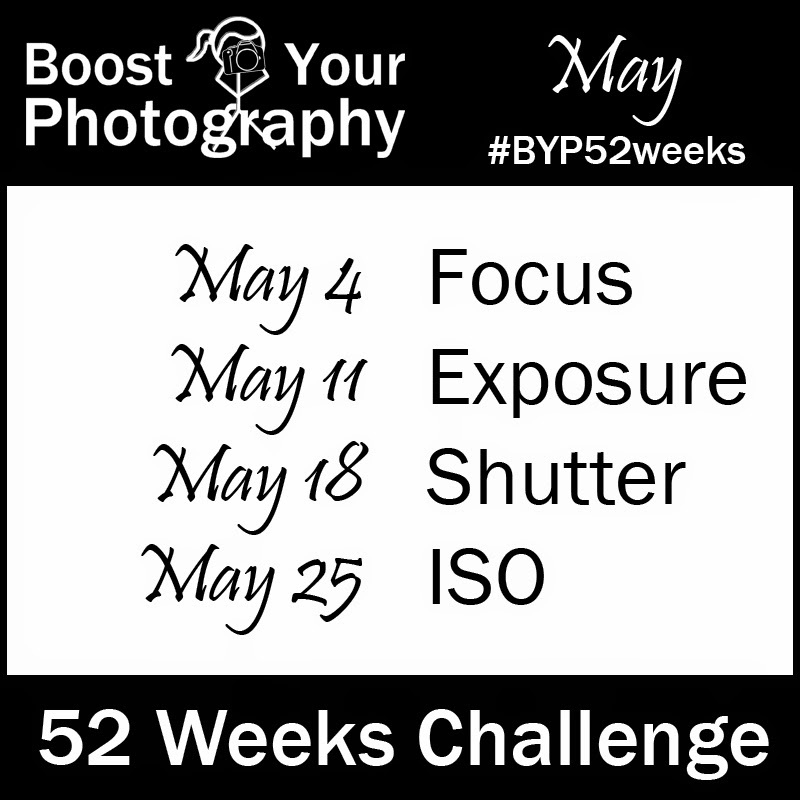 This is a good mode to use if you are shooting sports or motion photographs, where you want to capture a quickly moving subject. The final common autofocus mode is AI Focus (Canon) or AF-A (auto-servo AF; Nikon). In this mode, the camera determines whether you are shooting a still or moving subject and adjusts the focus accordingly. This method can take a little bit longer for the camera to find and lock focus than when using One Shot / AF-S, which is why I do not use it for a default. Setting your autofocus mode and changing to manual autofocus point selection will make an immediate difference in your photography. 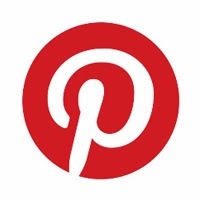 You are now in control of where the focus will be in your picture. Being able to control and set your focus will keep your subject in focus and help make far more of your photographs "keepers."